DerpSims Agents PBG 100k Subs! 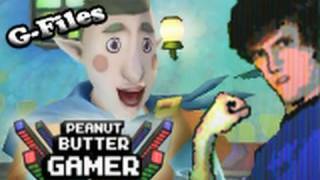 Top 20 11 Weirdest Zelda Characters! To continue to the top 10, go here: http:www.youtube.comwatch?v=C0W-XZT8h58&feature=relatedhttp:www.NormalBoots.comFollow me on FaceBook and Twitter: http:www.facebook.comPeanutButterGamer http:twitter.comPeanutButterGmrMy list of the top 20 Weirdest Characters from the Legend of Zelda series. I hope you enjoy it!